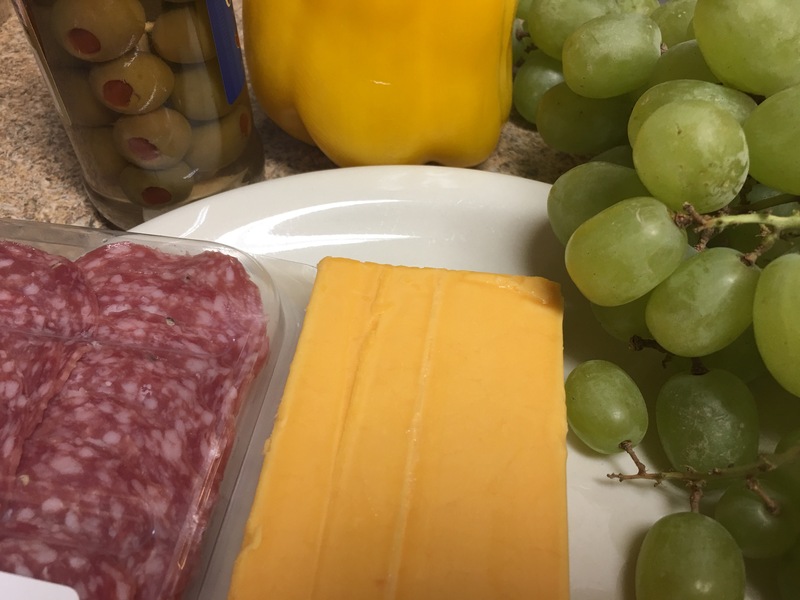 Assembly only appetizer…salami, cheddar, olives, grapes, and yellow bell pepper skewers! – Hurried Home Chef! 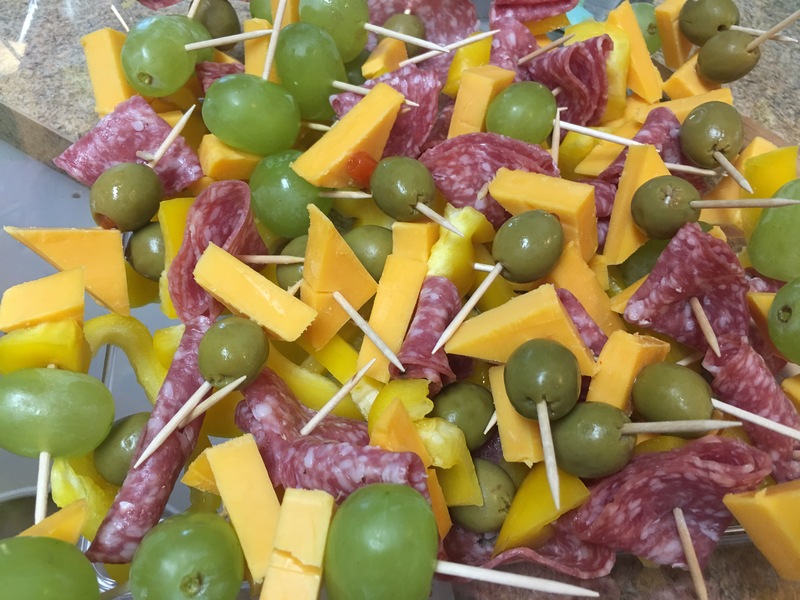 Assembly only appetizer…salami, cheddar, olives, grapes, and yellow bell pepper skewers! I’ve had a lot of people ask me what to take to a party when they usually use their kitchen for storage! It’s easy to just assemble something easy in no time. Start with a few things you like or crowd pleasers like cheddar, grapes, and salami. Then add some color variations or more of your favorites. 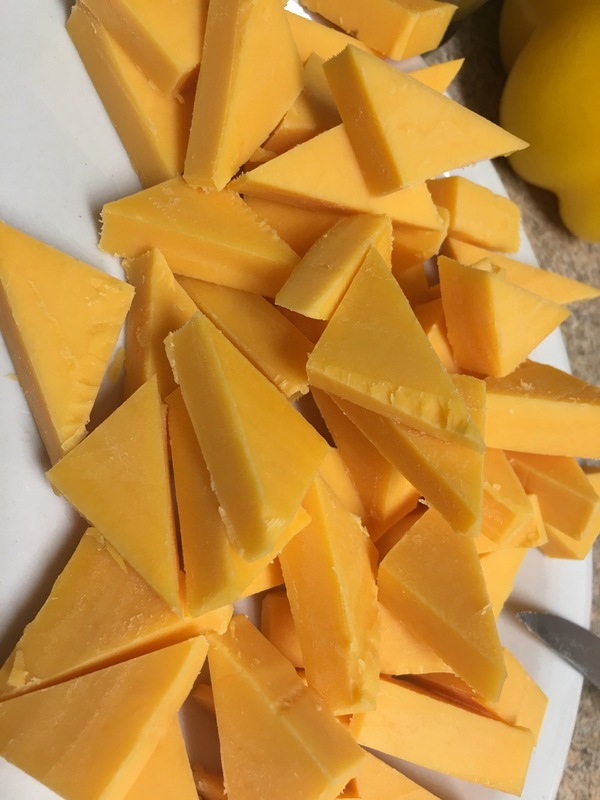 The cheese got sliced in 1/2 inch slices. Then cut each in half, then make triangles. 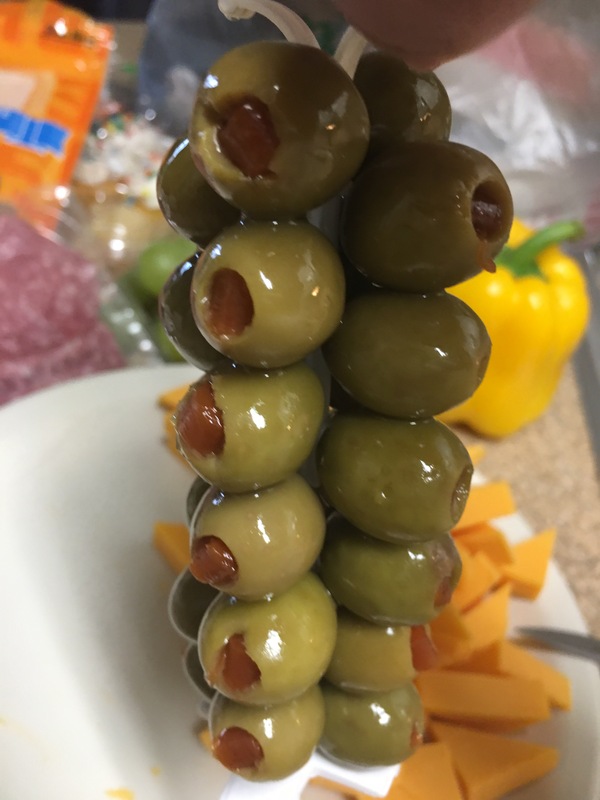 These olives come on a cute stand! The. Just assemble. Mix and match, no pattern needed. I chopped the peppers into strips and put them on the bottom then just put the skewers on top. If you are going to a more fancy occasion, keep them all the same in patter, then arrange them on a white platter. Previous Post Chicken breast dinnersfor two–three ways…Cuban, Latin, and Italian style. Next Post Quail eggs….have you cooked them at home?